The Adrian Dominican Sisters have long been engaged, individually and communally, in efforts to protect the integrity of creation and bring about a more just, peaceful and compassionate world. 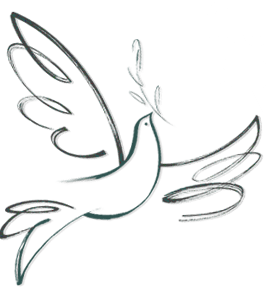 The Office of Justice, Peace and Integrity of Creation coordinates these efforts by bringing to light injustices and recommending ways to take action. We approach the forty days of Lent from a variety of different perspectives and points along the Christian journey. It is during this time of preparation we may hear the call to return to God with all our hearts. Network, Advocates for Justice, Inspired by Catholic Sisters is inviting people to join them this Lent in recommitting to Racial Justice. We are at a critical time in the history of our country and it is essential that we find ways to act in solidarity with People of Color. Join Network and “Recommit to Racial Justice." The Sisters of Notre Dame De Namur invite you to join them in this season of renewal, reflection, and change of heart. Join the journey. Living Lent Daily is an e-mail series that delivers daily reflections based on the Scriptures of Lent, drawing out lessons of mercy. The messages also include suggestions for further exploration of Lenten themes through additional online articles and prayers. Arts & Faith: Each week we’ll provide a video commentary about a work of art inspired by the Sunday Scriptures. Use these videos to take a new look at this season of spiritual renewal through the lens of sacred art. Pope Francis has made the issue of migration a central focus of his papacy. In 2017, he established the Migrants and Refugee Section (M&R) to help him implement his pastoral objectives. Although M&R is under the new Discastery for Promoting Integral Human Development, the section on migration and refugees is guided by the Pope. View the video “Migrants and Refugees” – The Pope identifies four actions – Welcome, Protect, Promote and Integrate – that we must take in our relationship to migrants and refugees coming to our shores seeking safety, protection and security. Ask your representatives to support HR 4796, the USA Act of 2018, and HR 3440, the DREAM Act of 2017; AND Moving Legislation Forward to a Vote in the House. The current government shutdown in order to finance and build a wall along the southern border is of grave concern. 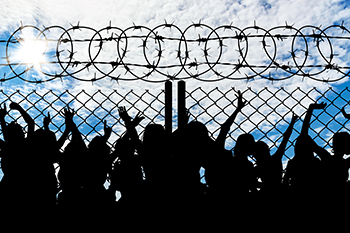 What is the just and humane way to secure our borders and treat those fleeing persecution? This is the question asked in the statement from the Maryknoll Office of Global Concerns (below). It is not with a border wall. Maryknoll missioners are in Washington, D.C. and on the U.S.-Mexico border. We see three possible solutions to the shutdown but each one could take weeks. And while we hear in the news about the pain the shutdown is causing people around the country, we see four ways it impacts the very people that the shutdown is about – migrants and refugees. Read our analysis here. For the first time in a very long time, many members in Congress are in favor of sensible gun safety laws. Just days after being sworn in to the 116th Congress, H.R. 8 was introduced in the House of Representatives. This bill would expand background checks to cover all gun sales. Kelley Byrdsong believes that if this was the law, her father would still be alive. Watch this video of Kelley telling her story. In November, in response to a position paper released by the American College of Physicians, "Reducing Firearm Injuries and Death in the United States," the National Rifle Association (NRA) tweeted, “Someone should tell self-important anti-gun doctors to stay in their lane.” Health care professionals across the country responded immediately by tweeting their first-hand experiences treating gun violence victims and published an open letter to the NRA declaring #ThisIsOurLane. America's gun violence epidemic is a public health crisis. Health professionals take care of patients suffering from gunshot wounds every single day. They are front and center in caring for the critically injured. 1. Immediately provide $50 million in funding to the CDC to study gun violence prevention. 2. Expand background checks to all gun sales. 3. Support extreme risk laws to remove guns from individuals in crisis. Once you have acted, please email jpso@ihmsisters.org or call 734-240-9691 to let us know so that we can tally this month’s efforts. Please share this announcement with your family and friends and invite them to join you in acting. Catholic Mobilizing Network (CMN) invites you to pray along with them throughout the Lenten season. Each week of Lent, they will share a reflection on the upcoming Sunday's readings (with a few special holy days thrown in). You'll be inspired by the clarity and experience of the authors who work to end the death penalty and promote restorative justice around the country. 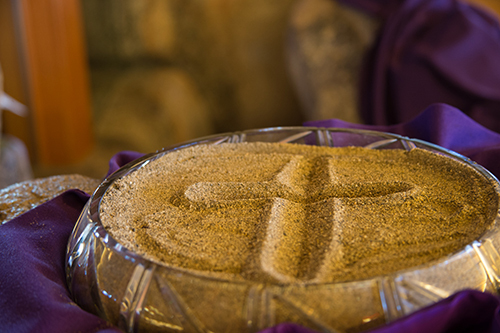 To start off, Andy Rivas, Executive Director of the California Catholic Conference, challenges us to invite others into our Lenten practices of prayer, fasting, and almsgiving. "This," he says, "is the way we advance the Kingdom." Read Andy's full reflection, available here. Each day, we invite you to say and reflect on a daily prayer for the vulnerable in our society. The content encourages unity and reconciliation.